Mobile as the NEXT mass media is as much superior to the internet, as TV is to radio. Today at 2.7 billion mobile phone users, there are three times as many mobile phones as personal computers (and over a quarter of all internet access is already from mobile phones). There are nearly twice as many mobile phones as TV sets. Twice as many people use messaging on a phone (SMS text messaging) as use e-mail on the web. But mobile was first a communication device. It emerged as the Next mass media only by the year 2000. By far the youngest of the mass media, the mobile is also by far the least understood. Some TV experts will marvel at the ability to show TV content on the mobile phone screen. They then think with a legacy TV mindset, and assume the phone is the dumb little screen, worth only for "snacking" and that "classic" TV content (programmes) should be chumped into tiny bits of football highlights and news soundbytes and little "mobisodes" and this will bring TV to mobile. No. That is like taking a radio play, and bringing the actors and their microphones, and showing it when they read a radio play on TV. No, TV had power in allowing celebrity, to see the acting, not only to hear it. We need to understand what makes the mobile phone SUPERIOR to TV. I often hear various internet experts talk about how limiting the mobile phone is for internet consumption. That there are problems with scrolling, and the keypad entry is cumbersome, and we lack a mouse on the phone. This is as stupid as the TV experts. We should NOT try to replicate the existing internet onto the mobile. Mobile is not a "small internet", it is a NEW mass media. As different from the internet as TV is from radio. We can do so much MORE on the phone that cannot be done on the internet. Like built-in cameras. We don't need to have a format which clumsily requires us to type long web addresses, if we build the interactivity around the camera - use 2D barcodes for example, which bypass typing altogether. And Scrolling? That same argument would suggest we cannot comfortably consume newspaper content on a PC, yet after a newspaper website is cleverly reformated - with a search button for example near the top - the internet is SUPERIOR to the newspaper, even though a traditional full page newspaper does not fit on a PC screen without some zooming or panning or scrolling. So how of the mobile as the Next mass media. It is first of all, the first mass media that can do everything each of the SIX previous mass media can do. Yes, like the internet, the phone can replicate all of the traditional mass media - we can read printed content like newspapers (print), download music recordings, watch movies, listen to radio, watch TV. Not all of it is as convenient or comfortable, but all of it is possible on (advanced handsets) of mobile today. Just like all of them are available also on the internet today. Plus the phone can also copy all of the legacy PC-based internet of today. Remember we don't need for the experience to be identical - a movie on TV is not as impressive as it is in the cinema, and reading a newspaper is not the same on the web as in print - but only that it can be replicated. Consider a music record. It cannot be replicated in print. Yes, we can print the lyrics or the score, but you cannot hear the Beatles in print. But TV can replicate the recording, and actually enhance it - by showing the band or in a more modern context and new format - show the music video. Back to mobile. All of the existing media can be delivered via the mobile. So the mobile is an "inherent threat" mass media, capable of cannibalizing any of its predecessors. And yes, it includes the new innovations of the internet (interactivity and search, what was new on the web and not available on the five old media) - both interactivity and search are already fully existing on mobile today. But mobile adds five elements not possible on the previous six mass media, making the mobile the inherently superior mass media. First, the mobile is personal. It is the first truly personal mass media. We don't share our phones even with our spouces, its that personal. Some may think their internet is personal, but even if it may be for some, as a rule, the internet is not personal. It seems personal, but we typically share our internet access at home with our family (children using the family PC etc) and at work our employers have rights to snoop around our e-mails and stored files etc. The web is semi-personal, but not really personal. Our phones, on the other hand, are truly personal. What is more, from a media owner point of view, the mobile is the first mass media where every single media consumer can be identified uniquely and distinctly. On TV we measure by Nielsen ratings. On the web we see multiple aliases and false identities. Magazines and newspapers only sell circulations. But on mobile, we know every single user. We don't need to "know their name" as such (with prepaid accounts), but that is actually pretty irrelevant whether my name is Alvin Foo or Mickey Mouse, as we do know every single audience member by their unique phone number. Did +86 1234 567 890 come back today to view the next episode of our content. Yes, and he watched all of it, and bought the related screen saver. Wow, that degree of accuracy. Never before in any media. Secondly the mobile is the first always-on mass media. Yes, we can leave our CNN on at the hotel at night, but TV was not intended to be consumed 24 hours a day. This ability of the mobile as an always-on media is so amazing, that we can actually sell services via the mobile, to deliver alerts of what is going on in other live media formats, like delivering via mobile alerts, when something important happens in 24 hour news shows, or for example if something is happening in the Big Brother house, or say a radio station is playing our favourite artist. The mobile is the ultimate alert and news media, faster by several orders of magnitude over any other media. And the most rapid news delivery formats such as the live news ticker on 24 hour news shows, is already making money on mobile - just 18 months from its launch, 16% of Japanese iMode users already subscribe to the live news ticker similar to the CNN News ticker (and called iMedia) which displays on the phone screen when it is in idle mode. Thirdly the mobile is the first always-carried mass media. The phone is with us literally, within arm's reach, at all times. Seven out of ten people sleep with the phone within arm's reach even at night - and the vast majority of those have the phone in bed, yes thats true - that is how close is our relationship to our phone. We do take it to the bathroom with us. No other media has this intense a relationship with its audience. Fourthly the mobile is the first mass media with a built-in payment mechanism. This is a massive iceberg totally not understood by most even within the industry. Never before was there "click-to-buy" ability in any media. We could not see a nice shirt or perfume shown on a magazine ad and point at the page to buy it. We could not point at our TV screen to set up a test drive for that new BMW or Audi. If James Bond pours a champaigne on the movie screen, we cannot run up to the silver screen and point to it, to order a bottle to our home. Even on the internet, payment always required setting up a separate payment system like Paypal or giving long number series of credit card info etc. Hardly "click-to-buy". But on mobile, it is that simple. Yes. Click-to-buy. Any content, any service, any product, anytime, anywhere, by anyone. No credit checks. No need for bank accounts. We can sell to 2.7 billion people at simply the concept of Click-to-buy. Ringtones. 6 billion dollars worth already. Many times more than the total of iTunes and all MP3 files sold online. Click-to-buy. Books, CDs, ringback tones, videogames, movie tickets, airline tickets, hotel reservations. Click-to-buy. insurance, parking, fishing license, speeding ticket. Click-to-buy. Like the episode? Click-to-buy. Want to send it as a gift to a friend onto his/her phone? Click-to-buy. Want to subscribe to it now, on the spot? Click-to-buy. What combines not only the convenience of the credit card - twice as many people have mobile phones than have credit cards, and kids as young as 7 years old have mobile phones while credit cards tend to have an 18 year age limit - but also the convenience of the credit card reading device. So in our pocket, its not only that the phone replicates the credit card (and debit card) but it has the built-in "virtual credit card reader". So like a taxi cab who has the credit card swipe machine, our phone has THAT built in as well. Truly the ability to handle the payment, not only identify us as the person entitled to use the credit card. We can handle the actual payment on the spot, by enabling a click-to-buy feature to our mobile page. This is not just beyond previous mass media, this is truly revolutionary. The media channel converges with the credit card company, through mobile as the Next mass media. But I have one more, the fifth and last benefit of mobile, beyond any other mass media. Mobile uniquely offers the media audience the input tool, at the point of creative impulse. Not like the digital camera which is at home. Not like the laptop PC which takes its "Microsoft minute" to power up if we have a moment of inspiration. No, the mobile is always there, when we consume our media and whether because of it, or inspite of it, have a sudden urge to create. Our phone is always with us at the moment of inspiration. To snap a quick photo of the beautiful sunset, and post it at our blog. Or snap a quick paparazzi photo of David Beckham as he passes by on the street - and we can quickly offer to sell the photo on to some celebrity magazine. And as we saw with the hanging of Saddam Hussein, it was a cameraphone used to shoot the footage that caused such an uproar. Available always at the point of inspiration. So yes the mobile, as the Next Mass Media is the youngest, least understood, most dangerous new mass media - one which will soon supercede the internet. Not because consuming a web page is better on a phone (that would be stupid to even try) but rather has five benefits the internet cannot hope to match. And in addition to those five, the mobile can also replicate all that the internet can do, while not necessarily replicating all of those media experiences quite as well. So this is what I want. I want YOU to spread the word. This is the dawn of mobile as a mass media. The sky is the limit. Nothing is set in stone. Now is the time to invent. Those brave souls who came from radio, and looked at the opportunities in TV and decided to go beyond listening, and invented the Game Show format, and the Talk Show, and Reality TV, and music video, etc. Don't look at limitations, comparing mobile to TV or the internet. 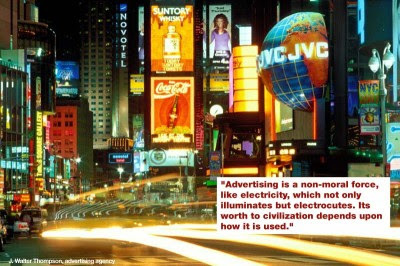 Think of the possibilities and develop the mass media beyond what has existed before. This is the newest mass media, and will soon be the most powerful mass media on the planet. It has enormous implications to the current giant, TV. And to its revenue engine - advertising. It has a huge implication to the internet, which will soon be overtaken in importance by mobile. Yes, you heard it here first. Mobile to the internet is like TV is to radio. The mobile as the Next mass media. It is not the dumb little brother of the internet. It is inherently superior to the internet. Mobile is as dominant to the internet, as TV is to radio.